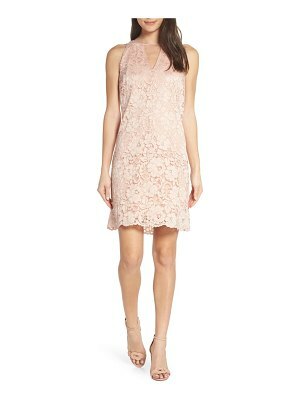 Flirty in shape yet refined in fabrication, the Marissa Webb Alaina Dress redefines the lace shift. 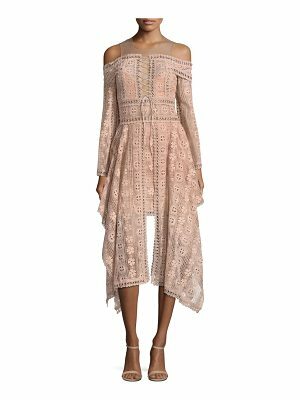 The alluring effect of its thigh-skimming hem is balanced by a high neck and soft ruffles in intricate corded lace.. Self: 78% polyamide 14% poly 8% elastaneLining: 100% poly. Dry clean only. Fully lined. 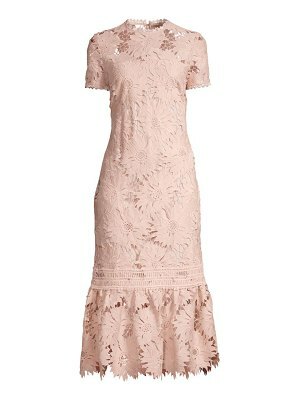 Allover lace fabric. Buttoned collar. Ruffled trim. MWER-WD12. WD0289. Born in Korea and raised in the United States, Marissa Webb spent her childhood immersed in fashion. She carried this love into a collegiate career at the Fashion Institute of Technology, and flourished at her positions with J.Crew and Banana Republic. In spring 2013, Marissa launched her eponymous label at Mercedes-Benz Fashion Week in New York, delivering timeless pieces with a touch of modern edge and whimsically feminine appeal fused with sharp masculine elements.